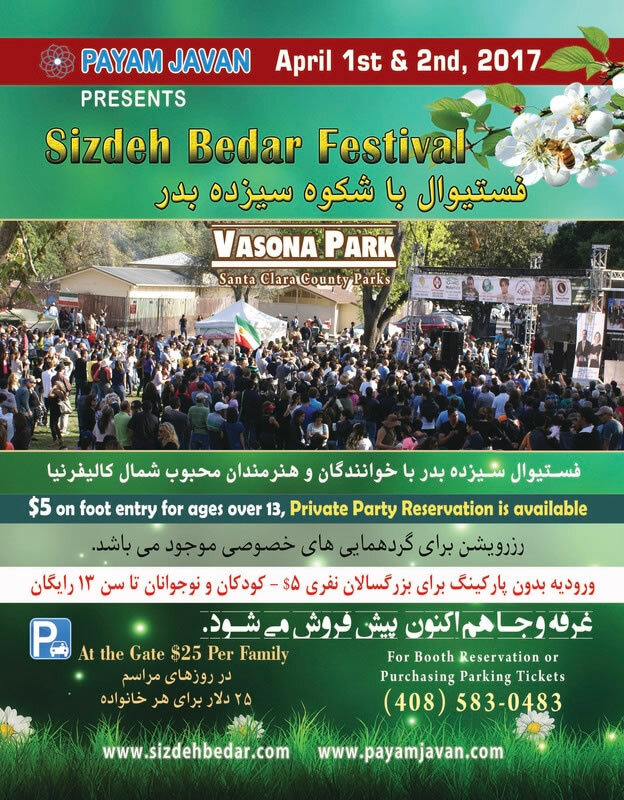 PAYAM JAVAN PRESENTS: APRIL 1 & 2, 2017: Sizdeh Bedar Festival . Music, food and more. Santa Clara County Parks . information & booth reservation: 408.583.0483 .